It feels like they’ve been around forever and in that time, they’ve managed to design one of the simplest drag-and-drop website builders available to date. Today, we’ll be taking Weebly apart exposing their pros and cons to see if it’s the right choice for your business website or project. The easiest website builder I’ve tested so far. Quickly “Bolt-on” features thanks to the Weebly App Center. Your site will look great on mobile devices (no additional effort required). 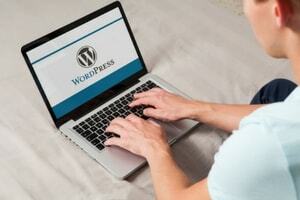 Migrate your content to another Platform should you outgrow Weebly. Strong suite of eCommerce tools to help you sell products online. I’d love to see a wider selection of templates. Beginners may find customizations fairly limited. Premium Plans: Ranging from $8 – $38 per month (billed annually). Recommendation: A good all rounder and in my opinion, the easier website builder on the market to date. Should be given serious consideration for small business & membership sites, portfolios, as well as small to medium online stores. Some may be put off by the rather generic templates and customization options in which case Wix may be a more suitable option. After spending quite some time inside Weebly over the last year, I can’t help but feel it’s something of a two-headed beast. You see, on the surface, Weebly is the perfect beginner-friendly platform if you’re looking to create a small business website, portfolio, blog, or even a small-medium sized store thanks to its simplicity. But dig a little deeper and Weebly allows you under the hood to tinker with your website’s code if you’re familiar with HTML and CSS making it also suitable for more advanced users looking for a deeper level of customization. Let’s dive in and take a closer look at each of Weebly’s standout features. Once you’ve created your account (free plan available) before you start building you’ll need to choose a template. Think of it as a starting point for your site rather than starting from a blank canvas. Let me start by saying that I really quite like the quality and design of Weebly’s templates (themes) and they’re filed away into categories such as business, online store, portfolio, blog, and events. You’ll also have the option of changing your template whenever you wish and while that may sound like a basic feature that every provider would offer, it most definitely isn’t. This editor is the main control panel where you can edit text and images, or you can drag over elements from the left-hand side of the page such as contact forms and slideshows and drop them onto your page. When you add a new page, you can choose a layout (section) which will save you having to start from scratch. These sections are professionally made pieces of content such as menus, contact, featured products, team pages, and galleries. Once you’ve added a section, you can then edit it in the usual way. This is a huge timesaver especially for people like me who don’t have an artistic bone in their body! Weebly has plenty of features to help you turn your site from a simple digital brochure into a fully functional business tool. Many of them are created in-house and can be added from directly from inside the main website editor. They include the option to add a store, Image gallery to showcase your work or talent, Google Maps to show customers your location, contact forms, newsletters, social icons, video, and audio. For everything else, there’s the Weebly App Center! Think of these apps as add-ons that you can easily install with just a couple of clicks. Inside, you’ll find booking forms allowing clients to schedule their own appointments, social media buttons, pricing charts, testimonial builder, live chat, membership capabilities, and email capture forms to name but a few. Some of these apps were designed in-house by the Weebly team and some by third-party developers. Note: The price for these apps vary ranging from completely free, to free with a premium Weebly membership, one-off costs and regular monthly payments depending on the app in question. As more and more people turn to their smartphones and tablets each day to look up local businesses and shop online, it’s imperative that your site looks great and performs seamlessly on said devices. The first thing I did once I’d finished building my test site was to whip out my iPhone to see how it looked. I have to say I was pleased with the result. Just be sure to choose one of the “mobile responsive” themes that we touched upon earlier and your site will look and work great on mobiles straight out of the box. If you’re looking to create a membership site where people can register and are then able to access certain content on your website, then Weebly’s definitely one of the better platforms out there to achieve it. Maybe you’re offering a course, a particular product, a download, or you simply want to keep certain pages of your site private from public view. Manage Individual Members of Groups From The Back Office. The only slight issue is, Weebly doesn’t have an in-house solution for accepting membership/subscription payments but there are integrations in the App Center that have been designed specifically for this purpose and come with a free trial. Note: To create a membership site, you’ll need to be a Weebly Pro or Business member (more on pricing shortly). It’s not uncommon for people to outgrow the platform that they first create their website with and sometimes want to move to a platform such as WordPress (more powerful but a much steeper learning curve than Weebly). Most website builders lock you into their ecosystem and don’t let you move. The only way is to delete your site and start over. Fortunately, Weebly isn’t one of them and they do allow you to export your content. It’s a little tricky but there are guides that walk you through the process step-by-step. You’ll probably never need this option but it should help you sleep a little easier at night knowing it’s possible. Just to be clear, building a website and getting said website to show up on the first page of Google are two completely different skill-sets. However, there are certain things we as website owners can do to improve our chances by making it clear to Google and other search engines exactly what your website is about. Weebly makes it easy for us to achieve this by allowing you to name each individual page, enter a page description, and create a relevant web address for that page. All this can be done directly from the website editor in “SEO settings” (Search Engine Optimization). In addition, Weebly automatically creates a sitemap for you which you can then submit to Google and Bing which will help them understand your site and can only lead to better rankings in the search results. For anyone that’s planning a full-blown eCommerce store, I always recommend a more specialist store builder as opposed to a generic website builder like Weebly. 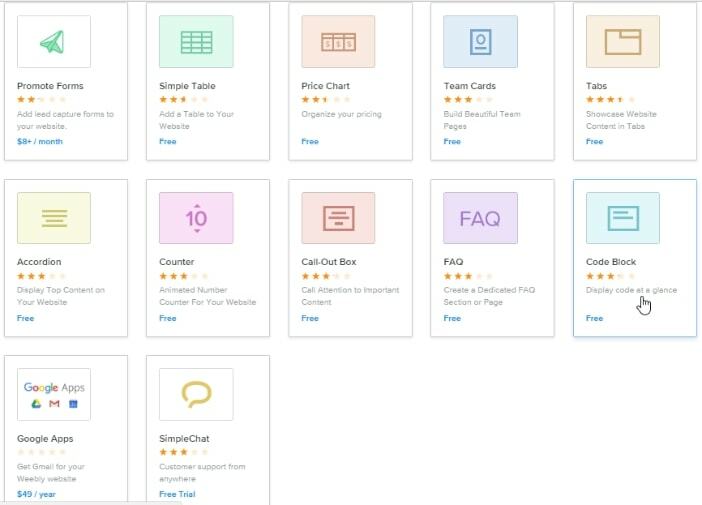 However, if you’re planning to start a small to medium sized store and aren’t planning to rival the likes of Amazon, then Weebly is a strong contender. Sell physical, digital products or services. Accept payment by PayPal and credit cards. Create variants of products such as sizes and colors etc. We’ve seen the good bits, but what about the flip side? 1. Although I Like The Templates, I Want More! Unfortunately, there just isn’t that many of them in comparison to some of Weebly’s competitors. At the time of writing this review, I could only count 68 mobile friendly templates (themes) available to choose from. Having said that, you’ll have access to some older templates too but they’re not designed to work on mobile devices. You’ll also find a few third-party companies that offer premium designs and plenty of companies that are prepared to design you a custom built template if that’s a route you wish to take. While there may not be as many as I’d like, I do have every confidence that you could take any of the templates and bend it to fit your industry simply by swapping out the sample text and images for that of your own. When I was creating my test site, I spent quite some time trying to change the color of a call-to-action button in the center of my home page. I wanted to make it orange to help it stand out. I couldn’t for the life of me figure out how to do it and presumed I was missing something glaringly obvious. I contacted the support team and it turns out I wasn’t missing anything, it simply wasn’t possible. Not unless I was familiar with HTML in which case I was told that I could make the changes through the code editor (I’m not by the way). So beyond text, images, and basic site colors, you may find customizing your Weebly site rather limited. If you want more freedom without having to learn code, Wix or Squarespace may be a better fit. Weebly has plenty of written tutorials and Videos on their Youtube channel which covers different aspects of creating your website. If you need to speak to a real person, Weebly offers support by way of an email based ticket system, live chat, and phone (phone available to Pro members or better). When I first created my account, I was playing around and couldn’t figure out how to change the color of something no matter what I tried so I decided to put their support team to the test. As a free member, I expected it to take a week before I received a reply but to my surprise, I received a detailed response to my issue the very next day so I can’t complain, especially considering the time difference. I’ve since contacted them on live chat on several occasion and obtained instant help. It’s good to know they are there should you need them. Weebly also offers a members community where you can pop inside and post your question. From what I’ve seen, you can expect a fairly quick response as other members seem very willing to help each other out. Looking around the web, Weebly usually appears in the top 5 on most “best website builder” lists from other professional reviewers. The well respected Fit Small Business who spend their time reviewing tools and software for business owners have Weebly has their top pick for business sites. That’s all well and good, but what about real Weebly users? After spending quite some time sifting through Weebly customer reviews, I found that people who liked it did so for many of the same reasons as myself such as it’s ease of use and the fact it allows you to create a good looking site with minimum fuss. On the flip side, some people think that Weebly is perhaps too simple and would like more freedom to customize their sites. Others ran into problems when editing photo’s as the process isn’t as smooth as it could be. In addition, users reported receiving mediocre help from the support team and others would have liked better tutorials to help them get started. Weebly offers a free website option. With this plan, you can choose a free domain name (web address) that will look similar to my test website URL which includes the Weebly branding. As you’d expect with a free plan, some features are restricted and you’ll also have to put up with an ad at the bottom of your site albeit a fairly discreet one. Weebly’s premium plans start at $8 per month and allow you to unlock certain features, remove Weebly’s branding on your site, and you’ll the ability to purchase your own domain name or connect one which you already own. As well as the free plan, Weebly also offers 4 premium plans. The prices you see in the table below are the monthly cost when you choose an annual plan and pay for the year upfront. 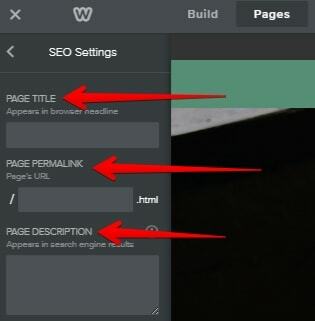 The Starter plan will remove the Weebly ads from your site and allow you to connect your own domain name (web address). 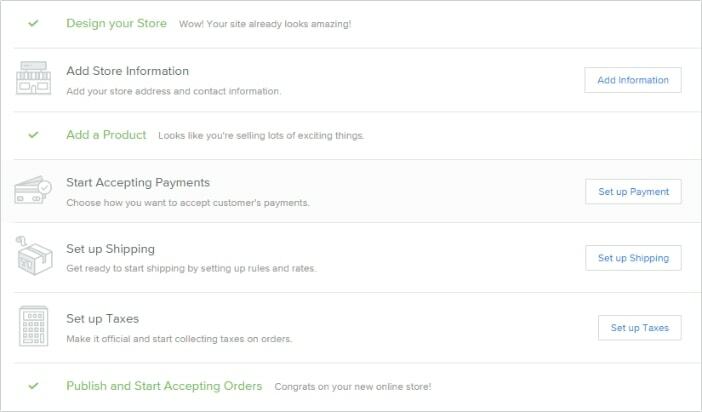 A good option for basic business websites and those looking to sell up to 10 physical products (3% transaction fees will apply). The Pro plan allows you to password protect your pages and invite up to 100 members. You’ll also be able to place a search bar on your site for your visitors’ convenience, upload high-quality audio & video, and sell up to 25 physical products (transaction fees still apply). With the business plan, you can sell up an unlimited amount of both physical and digital products, manage inventory, have access to shipping & tax calculators, offer customer discounts, and not have to worry about paying Weebly transaction fees. You can also have an unlimited amount of members and allow them to register themselves directly through your website. The final and most expensive plan is best suited to more established businesses who sell high volume online. You’ll have full access to everything in the previous plans plus email marketing tools, real-time carrier shipping rates, send emails to customers who have abandoned their carts, as well as creating digital gift cards. Weebly also offers a two-year plan for further discounts. Your own custom domain (yourwebsitename.com) will cost $19/year but Weebly will give you one free for the first year with a one or two-year plan. A custom email address to match your domain (contact@yourwebsitename.com) will set you back an additional $5/month per account (available from Google’s G Suite). If you’re looking to build a website for your business or modest online store, then aside from my issues with the lack of templates and customization options, Weebly is definitely one of the quickest and easiest ways to get your site up and running. As you saw in the user reviews section, some love Weebly while others find it a little too simplistic. My advice is to grab a free account before committing. That way, you can put Weebly through its paces and see it’s a good fit for you and your project. Just be sure to come back and let me know how you get on, okay?